Some great news came our way today. Last night The Raheny Way map won The Business Environment & Sustainability Award at the Dublin Neighbourhood Awards 2018. We have been working on the design of this map over the past few months with Dan Russell of Dublin City Council and Clare O’Sullivan of the Raheny Tidy Village Group. It’s been great to be involved in a local project and to learn even more about our wonderful and diverse neighbourhood. One of the areas highlighted on the map is Bull Island. The Bull Island is a unique wildlife refuge recognised worldwide by UNESCO as a designated Biosphere reserve. It is the only biosphere within the environs of a city anywhere in the world. It is an important public amenity and is well used by walkers, bathers, kite- surfers, bird watchers and nature enthusiasts. It has a breathtaking beach, sand dunes, mud flats and grasslands. Rare wild flowers can be found in this area. Over 40,000 birds visit the area every year. It is a nature lovers haven and there is an interpretative centre, where information is available about the flora and fauna of the island. This is one of our favourite places to walk to get those creative juices flowing. 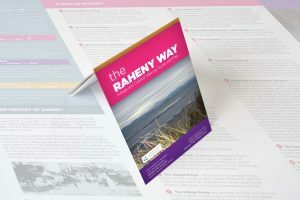 We’re so happy that The Raheny Way map is highlighting this wonderful area and sharing it with a much wider audience. 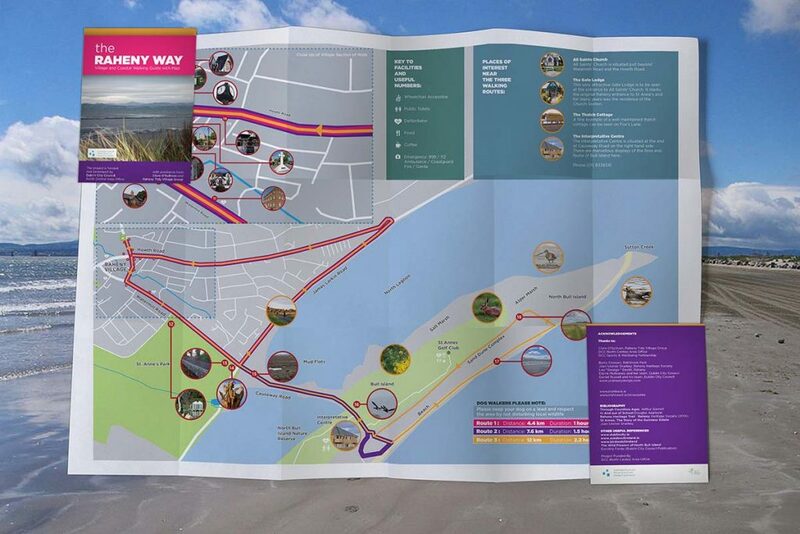 So get those walking shoes on (or off, if you’re on the sandy beach)and come and explore The Raheny Way. Copies of this map are available free of charge from Raheny Library. Or download a copy here.